Streamlined Permitting – We've improved the residential construction and home renovations permitting process to save time and money for applicants. Only the Building Permit Application that contains both a Clearance Sheet and a Building Permit Application is required now. Clearance sheet and building permit requests may be submitted simultaneously, or sequentially (clearance sheet then building permit). For more information, call (904) 209-0724. The Growth Management Department facilitates well-designed, efficient, healthy, and safely built developments, while ensuring preservation of the natural and cultural environment. Responsibilities include long range planning, environmental planning and education, building permitting, and development review. In coordination with state and federal laws, the Department ensures compliance with all County codes and regulations including the Comprehensive Plan, the Florida Building Code, Ponte Vedra Zoning Ordinances, and the Land Development Code, as well as maintaining related public records. The Building Services Division issues permits and inspects construction activity in St. Johns County to protect life, health and property. Get information on permitting, inspections, and contractor licensing. Permit Status: Check the status of an application for a building permit, clearance sheet, or development. The Long Range Planning Division serves as the professional planning staff in preparing, and maintaining the County's Comprehensive Plan and is instrumental in implementing studies, programs, and projects required by the Comprehensive Plan. You can also find the Land Development Code as well as proposed amendments in this section. Development Review Committee, Commercial plan review and inspection, Subdivision plan review and inspection, Construction Surety (bonds, letters of credit), As-Built review & inspection, Lot grading drainage complaints. The Planning Section reviews all land development applications for consistency with the Land Development Code and the Comprehensive Plan. The Technical Section is responsible for construction inspections and the review of all privately-funded development projects. The Transit Section is responsible for the administration of the funding that provides public transportation services throughout the County. Transportation Planning and Concurrency is responsible for coordinating a safe and efficient transportation system, including the development of the Transportation Element of the Comprehensive Plan and the Traffic Circulation Plan, as well as implementation and management of the Concurrency Management System to maintain adopted levels of service. 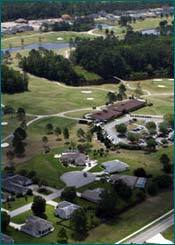 The Environmental Division has a wide range of responsibilities that include safeguarding the County’s protected animals, plants and habitats; protecting historic and prehistoric sites; managing County land for mitigation and invasive plant removal; ensuring that County facilities comply with state and federal regulations; reviewing proposed new development or construction for required environmental and cultural protections; and protecting St. Johns County’s surface waters through stormwater control.